Plagiarism of content is now considered as a normal action by the students these days. This shows that there is a need for proper guidance and taking some serious steps by the high schools. This activity is getting common among students all over the world. The more negligence would lead to having a disastrous impact on the professional career of students. 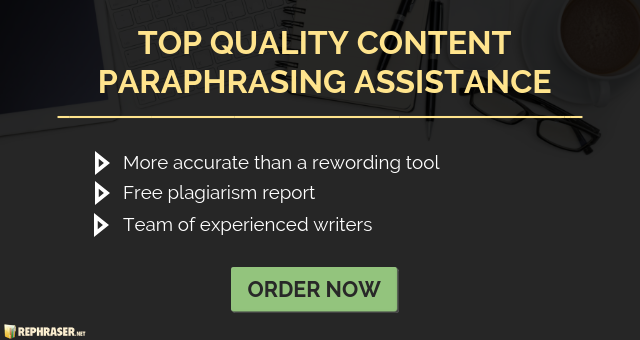 Plagiarism has always been an issue with many students and professionals alike that it is almost impossible not to be able to find a paper that is actually free from any copied content. The problem with this is that many are not taking plagiarism too seriously while others are assuming that only the younger ones are prone to copying content because they are not really adept in conveying their thoughts into words as of yet. This isn’t true, however, because even professionals often struggle with writing papers where they end up copying content to expedite matters. So what plagiarism facts do you know about that makes this writing mistake hard to eradicate? Choose out paraphraser online tool for fast and qualitative results! You’re probably wondering why copied content still exists today when there are many scholars who are trying to eradicate this problem. Here are a few facts that you should know about plagiarism and why it is still prevalent today. This isn’t a rising problem. Many assume that plagiarism isn’t really a problem but it is only considered as one because of the numerous plagiarism checkers online. Although there is truth in the fact that there are more plagiarism programs that are designed to detect copied content, the appearance of internet technology is actually making copying content easier because information is always accessible. This is only a problem in countries that are non-native speakers. Although there is truth in this statement about non-English speaking countries copying content, they are not the only ones who are struggling to convey what they have in mind to their readers. As a matter of fact, even those who are in English speaking countries are also committing the same mistake in their papers. Self-plagiarism is not a problem. You’re probably thinking how will it be considered plagiarism if you are copying what you have written before? However, literary and academic experts still see this as some form of plagiarism that is wasting their time and money. This is not accepted particularly in the field of research because you are not delivering anything new. Plagiarists are caught easily. This statement is not entirely accurate because even though there are dozens of plagiarism checker out there, not all plagiarists are caught since there are limitations to this kind of service. Believe it or not, more than 60% of students in the world high schools are engaged in the activity of copying other’s content. This percentage of students is increasing with every passing year. Plagiarism facts and stats are not good. The only United States has more than 21,000 high schools where 20% of students are involved in stealing someone’s content for making assignments and projects. However, it is becoming impossible for students to get their work approved by checking through plagiarism software. The availability of best free plagiarism checking tools will decline the shared percentages. There are many ways to avoid plagiarism in high schools. The high school managements should organizes seminars for students to discuss research articles on education with them. These articles are helpful to guide about different prevention techniques of overcoming the plagiarism. Here are some more ways that help teachers to check the uniqueness of submitted assignments by students. First and foremost, the website turnitin.com is the ideal choice for the teachers to check the plagiarism of the assignments. The intent and higher education are the mediums that make students aware of the cons of plagiarism. Secondly, the institutions also teach them about the consequences of submitting copied content. The frightening after effects would also stop students to do it ever again. You will never know what can be other plagiarism consequences. There are many online plagiarism checking tools available. One of those is Turnitin. It is a very popular online platform that is being used for checking plagiarism of the contents in many high schools of the world. The copyscape.com is another site that offers outstanding plagiarism checking services. However, it is paid and charge $0.05 for checking 100 words. Most of the high schools rely on turnitin as this is the best option for the institutions and students as well. Both of these plagiarism detection platforms are best. Now it’s upon you to choose the best tool for checking whether your students have stolen the content or write it by themselves. Don’t forget to tell them that plagiarism of any type of content is a crime. What’s difficult about writing papers is that you are expected to come up with a unique statement that includes information from other sources but without copying anything from the original source. You’re probably wondering how you’re going to get this done when you have plenty of sources to go through. First, you need to read and understand the text that you want to rewrite to fully understand its meaning. Once you have grasped its meaning, you can go ahead and write it just the way you understood it. Second, you should compare your work with the existing one to determine if there are any similarities. You can use plagiarism checker to help speed things up. Third, you should rephrase or rewrite the errors you have committed until you are satisfied with your work. The plagiarism facts that are mentioned above are simply an insight on how others perceive the idea of copied content. For many, they don’t really believe that there is anything wrong with copying text word for word but you should know better. After all, you can always hire our paper rewriter so it is unique but still contains the same meaning. Check out plagiarism facts and learn how to make a plagiarism-free paper!